To help writers make the most of the wonderful ability to make connections with other writers on twitter, I’ve created #WriteChat. Every Sunday at 12:00 pm PST / 3:00 pm EST (and lasting approximately 3 hours), I pose a question to get the conversation started. However, as this is about connecting with other writers, feel free to discuss anything and everything about writing, life, and this creative journey we all share. To help you connect with other writers, share what kind of writing you do, what genres interest you, where you’re at on the writing/publishing journey, or anything else that’s swirling around your mind and heart about this writing life. As hundreds of writers participate in #writechat every week, the conversation goes quite quickly. So don't worry if you can't read every post when the conversation is jumping. Relax, enjoy, and trust that you'll meet the right people, get the support you're looking for, and have a wonderful time. Wow! Thank you everyone. My first #writechat & I have books to read, people to follow, etc. Fantastic info & lively discussion. LUV everything about #writechat, it’s a Sunday must. So glad to have found this community of smart writers. Lurking on #WriteChat for a few minutes led to a break-through on how to approach an article. Thank you @WritingSpirit + fellow writers. I made this video late at night, so there's not enough light--but I had fun! Writing Tip: Whatever your reason for not wanting to write when you've promised yourself you would--whether you feel too tired, busy, or blocked--write anyway for 15 minutes. There's magic in putting pen to paper (or fingers on keyboard). When you've promised yourself that you're going to write, then write--no matter what--for 15 minutes. If you're scheduled to write for an hour, it doesn't matter. Write for 15 minutes. If you're exhausted and about to collapse, it doesn't matter. Write for 15 minutes. If there's not one single thought in your head, it doesn't matter. Write for 15 minutes, even if all you can write about is being stuck. Sometimes the desire to write sparks some inner resistance. That's why excuses are so easy to come by. The antidote is to grab hold of the idea of writing for ONLY 15 minutes. That small amount of time isn't intimidating. And because it feels doable, it gets you to start writing, which is the key that unlocks writing's magic power. And often, once you start writing, you catch fire and simply write and write and write. All of these good things happen because the things you think you need before you write, in order to write (inspiration, feeling connected to your project, energy, clarity, enthusiasm), all the things you're not willing to write without--are what you get FROM writing. Even when writing doesn't give you all, or any, of these benefits, and you actually do end up writing for only 15 minutes, you feel good that you at least wrote something on a day you promised yourself you would, and rest easier knowing that you really were too (tired/busy/blocked/etc.) to write, and weren't just procrastinating. The idea of writing for only 15 minutes may be what lessens your resistance, draws you in, and gets you to start writing, but it's the act of writing, itself, that is the miracle. I recently received copies of my latest book, "Conscious Entrepreneurs: A Radical New Approach to Purpose, Passion & Profit." If you look the book up on Amazon.com, you'll see that my name is not on the cover. It is, however, on the table of contents. I wrote chapter 37, "Writing: A Journey of Creativity, Consciousness, and Connection." They're equally open to new and experienced writers. It's fun to hold a book in your hands that has your poem, story, or article in it. Inspirational stories are easy to write, because they're based on your life. If you're having trouble writing, an anthology call will give you a specific topic to write about and a very real deadline to write towards. Every publication helps build your writing credits and platform. You can use your 50-100 word bio to drive traffic to your website. This link takes you to Chicken Soup for the Soul's website. Go to: Submit a Story/Possible Book Topics. Anthologies Online may not be the prettiest website, but it has monthly listings of new anthologies looking for content, including poetry, short stories and stories about your life. This link takes you to the online classified section of Poets & Writers Magazine. The current magazine's listings are always online. Creating your own anthology can also be fun and profitable. You can write a book proposal, gather some sample stories, and find an agent or publisher (I have an anthology book proposal currently making the rounds that's been seen at HarperSanFrancisco and Inner Ocean Publishing, among others), you can self-publish, or you can turn your content into an ebook. The biggest benefit of creating your own anthology is that your name goes on the cover. You are considered the author of the book, whether your name follows "edited by," "compiled by," or stands alone. It makes a great first book. If your own author's platform isn't very strong, get some name authors to commit to your anthology and stand on their platforms. Once you have a book published, you've got your foot in the door and it's a little easier to get your "next book" published. Make no mistake, however, an anthology is still a book and takes time, commitment, and lots of work. September 22nd is the 266th day of the year (this was a leap year). That leaves 100 days until the end of 2008. Have you achieved all the writing goals that you set for yourself on January 1st? Are you happy with the progress you've made, so far this year? Is there more you'd like to achieve before the year is through? The next 100 days offer you 100 opportunities to reconnect with goals that have faded into the background, or that have been moving forward more slowly than you'd like. The next 100 days offer you a chance to end the year strong! Imagine that it's December 31st and you're looking back over this year. What do you want to feel proud about achieving that you haven't finished, or even started, yet? You've still got time. The next 100 nights offer you 100 chances to go to bed feeling good about the progress you've made on your dreams and goals. What would you like to accomplish in the next 100 days? To see how published authors, and other publishing professionals, use Twitter.com to connect with their audience and promote their books and services, I've gathered together a list of 50+ "Tweeters" that I thought you'd be interested in. This list includes authors, literary agents, and book publishers, as well as writing coaches and other tweeters offering writing related information, such as links to video book trailers, poetry resources, and more. Because the basic question that's being addressed is "how do writers use Twitter.com?" I picked people to follow based on their connection to traditional publishing, and not on the topics they talk about. So, some may talk about writing a lot, while others may say very little about it. Some may promote, promote, promote, while others may share more of the day-to-day realities of their life and let the promotion simply be their presence at Twitter, and the website link in their bio. Some may post a lot of tweets, while others may post only occasionally. This grab bag of micro-bloggers was chosen purposefully, so that you could see the many ways writers actually use Twitter. 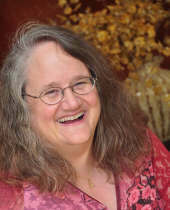 Bookgal Penny Sansevieri, author & CEO of Author Marketing Experts, Inc.
A Fabulous Spiritually Based Book on Writing!!!! When I was on Twitter.com one day, I connected with novelist and writing teacher Mark David Gerson. Having said our hellos online, I went to check out his books at Amazon.com. 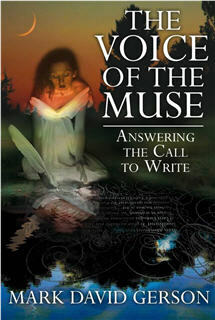 On the page for Voice of the Muse: Answering the Call to Write, I clicked on “search inside this book,” and started reading. The more I read, the more it felt like the words on the screen were coming from my own heart. I was completely blown away. So, of course, I immediately ordered the book, along with the companion CD set of guided meditations for writers. I’ve read dozens of books on writing, but none have moved me as deeply as The Voice of the Muse. Mark David’s words are not only eloquent, they have a meditative quality about them that takes me directly to the core of my own creative being. He picked the perfect subtitle, “answering the call to write,” because his book is the embodiment of that call. Every page invites me to open, and then compels me to write. There are several guided meditations in this book, but simply opening to any page, and reading, can give you something to meditate about. This morning, as I was using The Voice of the Muse as an intuitive guide, I was led to an idea that I would like to spend some time with. Mark David pointed out that there’s a difference between a good idea and the right idea. Being the Brainstorming Queen that I am, with an ability to mass produce ideas, I know that the line between the two often gets blurred. I view discernment as the key to making sure I start down the right path, rather than following a creative detour that will eventually lead me to a dead end after days, or even weeks of work. But Mark David got me thinking, what makes an idea the right idea? What do I need to know, or do, or feel to be able to accurately discern the right path? This is something that each of us needs to discover for ourselves. Of the many good ideas you have, how do you distinguish which of them is the right idea for you to work on at this time? Unsure how to end this article, I opened up The Voice of the Muse to see where it would lead me. The page I landed upon was the title page for chapter 5. There, in large bold letters it said, “listen to your heart.” What a perfect message to receive, for the call to write both emanates from, and ends within, the heart. It is with our heart that we hear the voice of the muse calling us to write. And it is from the still and silent center within our heart that our “yes” joyously arises to answer the call. After reading the excerpt, it's fun to hit the "surprise me" button and see where it takes you. Enjoy. I just watched the movie, "Miss Potter," starring Renee Zellweger as famous children's author, Beatrix Potter. It's fun to watch movies about famous authors, and see how they overcame the naysayers, their own self-doubts, and any other creative obstacles they faced, which made their heroes' journey worth making a movie about. Beloved Infidel (1959) about F. Scott Fitzgerald, author of The Great Gatsby, and Tender is the Night. Starring Gregory Peck. All The President's Men (1976) about Bob Woodward (author or co-author of 10 #1 national bestselling non-fiction books, more than any other contemporary author) and Carl Bernstein. Starring Robert Redford and Dustin Hoffman. Cross Creek (1983) about Marjorie Kinnan Rowlings, author of The Yearling. Starring Mary Steenburgen. Hemingway (1988) about Ernest Hemingway, author of For Whom the Bell Tolls, and The Old Man and the Sea. Starring Stacy Keach. Henry and June (1990) about Anais Nin (Delta of Venus) and Henry Miller (Tropic of Cancer). Starring Maria de Medeiros and Fred Ward. Impromptu (1991) about George Sand (Aurore Dupin), author of 80 novels and 20 plays. Starring Judy Davis as Sand. Kafka (1991) about Franz Kafka, author of The Metamorphosis. Starring Jeremy Irons. Mrs. Parker and the Vicious Circle (1994) about poet and essayist Dorothy Parker and Manhattan's legendary literary cadre known as the Algonquin Round Table. Starring Jennifer Jason Leigh. Quills (2000) about the Marquis de Sade, author of Justine or the Misfortunes of Virtue, and Letters From Prison. Starring Geoffrey Rush. Iris (2001) about Iris Murdoch, author of Under the Net, and The Sacred and Profane Love Machine. Starring Judi Dench. The Hours (2002) about Virgina Woolf, author of Mrs. Dolloway, To the Lighthouse, Orlando, and A Room of One's Own. Starring Nicole Kidman as Woolf, along with Julianne Moore, and Meryl Streep. Sylvia (2003) about the poet Sylvia Plath, author of the semi-biographical novel The Bell Jar. Starring Gwyneth Paltrow. Finding Neverland (2004) about J.M. Barrie, the author of Peter Pan. Starring Johnny Depp. Capote (2005) about Truman Capote, author of In Cold Blood, and Breakfast at Tiffany's. Starring Phillip Seymour Hoffman. Miss Potter (2006) about Beatrix Potter, author of The Tale of Peter Rabbit, The Tale of Jemima Puddle-Duck, and many other children's books. Starring Renee Zellweger. Becoming Jane (2007) about Jane Austen, the author of Pride and Prejudice, and Emma. Starring Anne Hathaway. Miss Austen Regrets (2008) also about Jane Austen, the author of Sense and Sensibility, and Mansfield Park. Starring Olivia Williams. Misery (1990) Kathy Bates as an author's worst nightmare. In this case, the author is played by James Caan. Deconstructing Harry (1997) Woody Allen as an author who decides to write a novel about his best friends. Finding Forrester (2000) Sean Connery portrays a famous novelist turned recluse, who helps a high school basketball star (Rob Brown) who wants to be a writer. Adaptation (2002) Nicolas Cage as a screenwriter, battling his own creative demons, as he works to adapt a novel (written by Meryl Streeps's character) for the screen. Stranger Than Fiction (2006) Emma Thompson plays a novelist struggling to kill off her main character (played by Will Ferrell), but things get out of hand. What are your favorite movies about authors or about the creative process? Leave a comment and let me know.